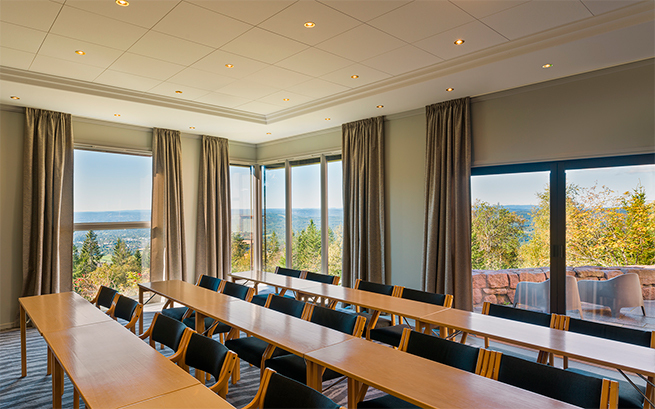 Soria Moria Hotell has a total of 25 meeting rooms in all sizes. From small and intimate rooms with a max occupancy of eight persons, to our Storesal auditorium with capacity up to 300 persons. 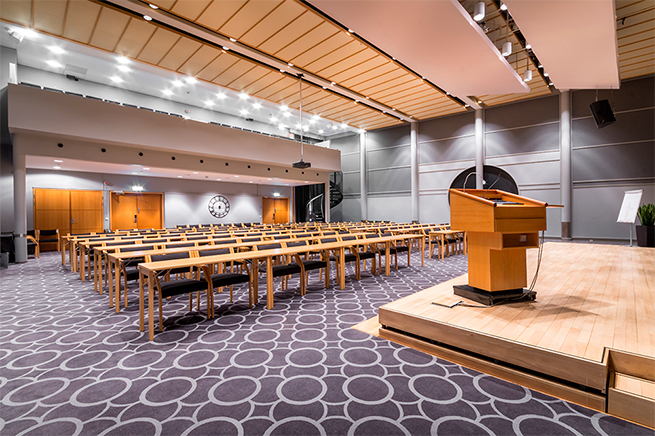 Storesal, our larges meeting room, has recently been refurbished to modernize it and increase the capacity. From the mezzanine, onlookers can enjoy an even better view of the hall. A modern sound system makes sure every participant in the audience can follow the presentations with ease. The podium is flexible and adaptable to the size of the audience. The Boardroom is perfect for boardroom meetings and group work, where the room should encourage close dialogue among the participants. The close arrangement of being face to face across the table, makes it easier to pitch in ideas and opinions. All our meeting rooms have the latest standards in AV equipment. Larger rooms with great flexibility in terms of participant group size. 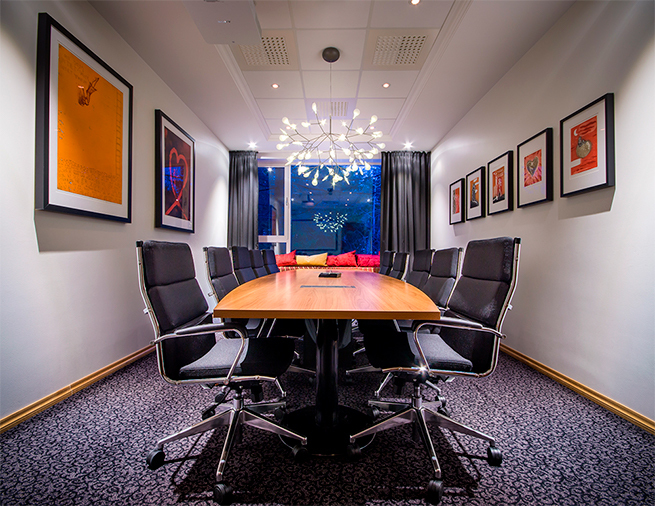 A meeting room layout will provide the same advantages as our Boardrooms, while providing the speaker with ample room to conduct the meeting. All our meeting rooms have the latest standards in AV equipment.